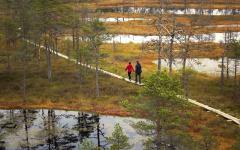 The Baltic region is a land of medieval beauty and unique charm; this sets it apart and makes it a great destination for both romantic and historic trips. Whether you’ve already toured the major capitals of the Mediterranean and Western Europe, or you’re just looking for something different for your next vacation, the Baltic region will leave you spellbound. 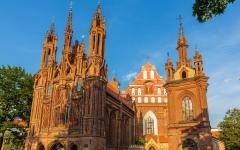 This 10-day itinerary covers the Baltic capitals Tallinn, Riga and Vilnius, with several shorter stops along the way. 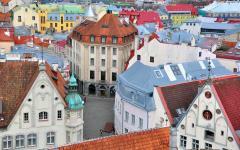 You will start in the medieval city of Tallinn, whose Old Town has a charm unlike anywhere else on the continent. Next you’ll travel to the lovely port city of Riga, with its seaside ambiance and impressive collection of Art Nouveau architecture. Your tour concludes in glorious Vilnius, which has the largest surviving Old Town in Northern Europe, a place of both historic and modern beauty. This is a turn-key vacation, including accommodation, transfers from and to the airport and between cities, as well as city tours. You’ll stay in centrally located boutique hotels, B&B’s, and spacious apartments ranging from a three to five star level. Best of all, this is a personalized stay, with multiple excursions available to cater to your interests, including visits to historic sites, unique tours, and tastings of regional cuisine. 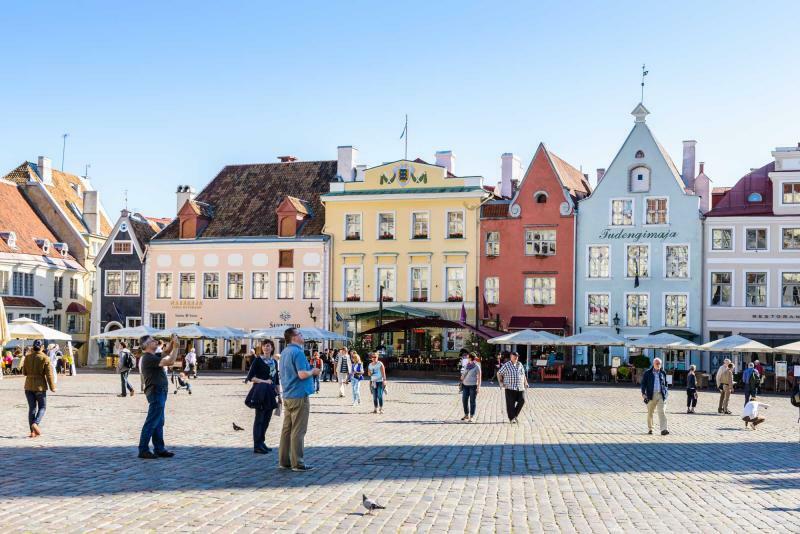 When you arrive at the airport, you’ll be met by our local driver who will take you to your centrally located accommodation in Tallinn’s Old Town. If you arrive in time for dinner, we recommend heading out to try some of the delicious local cuisine. 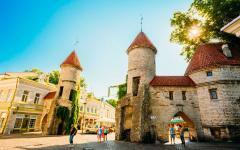 Then enjoy Tallinn’s evening ambience, and look forward to the rest of your trip. 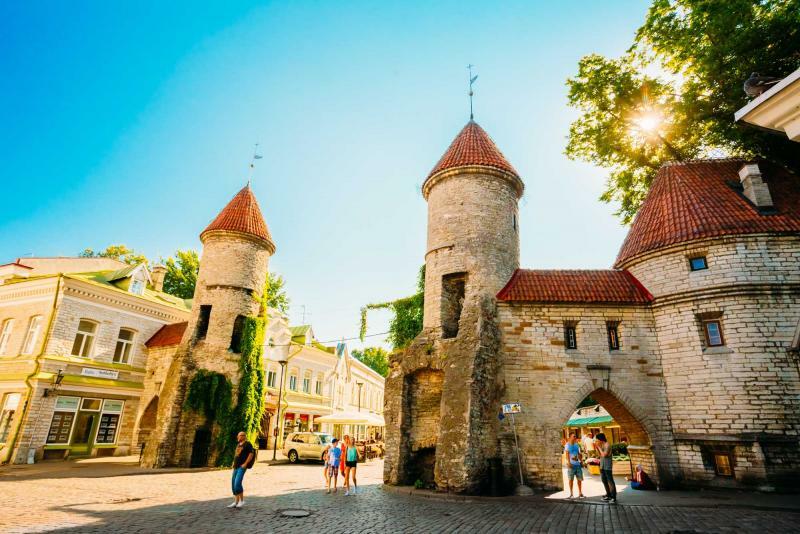 After breakfast at your accommodation, you’ll be met by an expert local guide who will lead you on a walking tour of the hidden beauties of Tallinn, the oldest capital city in Northern Europe. Most of the major sites are in the Old Town, which is exactly where you’ll be staying. Wandering through the center of the city will have you feeling like you’ve travelled back in time to a land of cobblestone streets, church spires, and vibrant cultural life. And there’s more to see, if you’re up for some exercise. 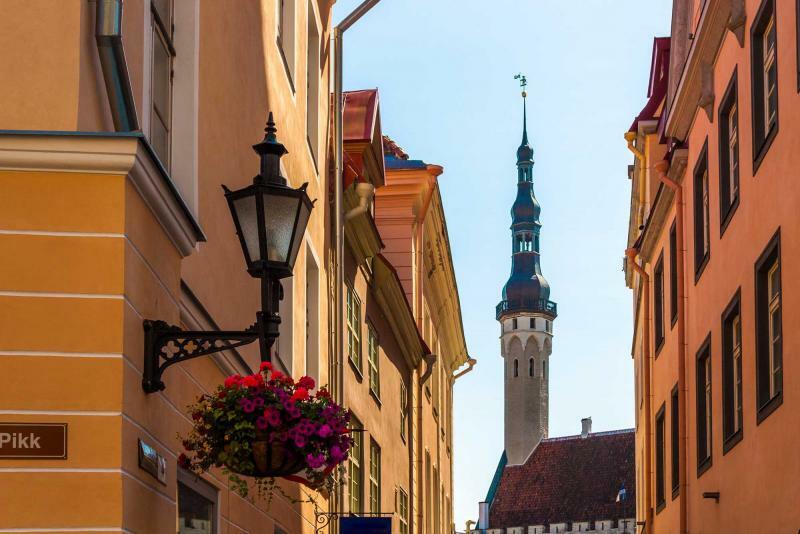 In the two decades since Estonia regained independence following the 1988 Singing Revolution, the city has modernized without losing its historical charm. Tallinn’s many towers offer breathtaking views over the city and all the way to the outskirts. Your guide will recommend the most impressive lookout points. If you’d like to explore the city’s history, the KGB Museum and the Soviet Sculpture Park just outside the Old Town are highly recommended. The latter especially is an incredible opportunity for unique photographs, with a collection of communist statues that were pulled down and shipped here after the fall of the regime. With a day of urban exploration behind you, your second full day in Tallinn is the perfect time to stretch your legs and head out to the countryside. After breakfast, your personal driver will take you east of the city to Lahemaa National Park. This is a gorgeous natural landscape full of atmospheric peat bogs and gorgeous waterfalls, as well as castles, manor houses, and fishing villages. 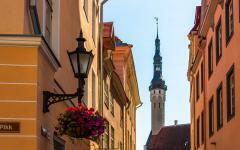 Our most popular day trip from Tallinn, this is timeless Estonia, a place of captivating charm. In the afternoon, you’ll be driven back to Tallinn, where you can enjoy the evening hours at your leisure, or sample Tallinn’s vibrant nightlife. 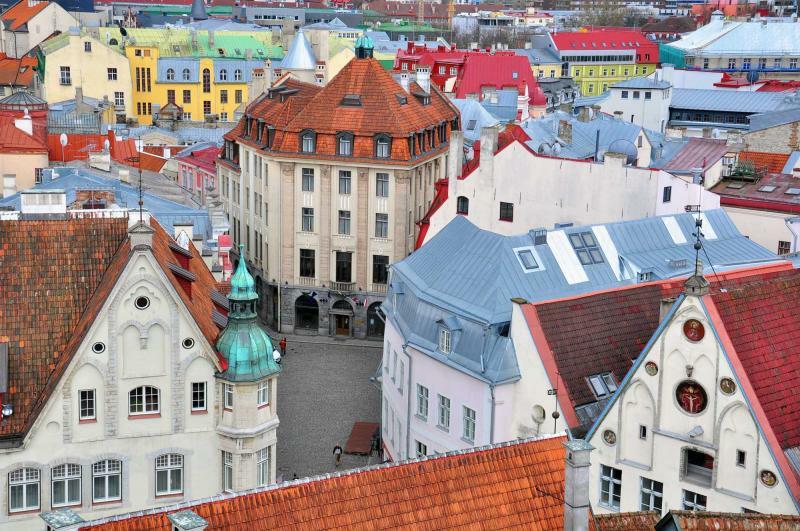 More adventures await you today, this time in the Latvian capital of Riga. After breakfast, your driver will pick you up at your accommodation in Tallinn to take you to your centrally located accommodation in Riga. Along the way you’ll make a stop in the historical beach town of Parnu, the perfect place to enjoy a leisurely lunch by the lapping blue waters of the Baltic Sea. This charming town is a nice diversion from the busier locales you’ve seen so far. It’s a popular summer destination with wide beaches perfect for walking or sunbathing, as well as a quaint city center with unique architecture. You’ll arrive in Riga in the early evening, and your driver will bring you directly to your accommodation in the center of the city. Take your pick from the range of recommended restaurants, or go off and explore the city on your own. Periods of Polish, German, Swedish, Russian and Soviet rule have all left their mark on the vibrant city of Riga, making it a unique destination for all types of sightseeing. Two decades of independence have seen the Old Town magically resurrected from the destruction it suffered during WWII, and the city’s efforts have been rewarded with UNESCO World Heritage Site status. The fact that Riga was named European Capital of Culture for 2014 gives an insight into how important music and art are to Latvia’s capital. 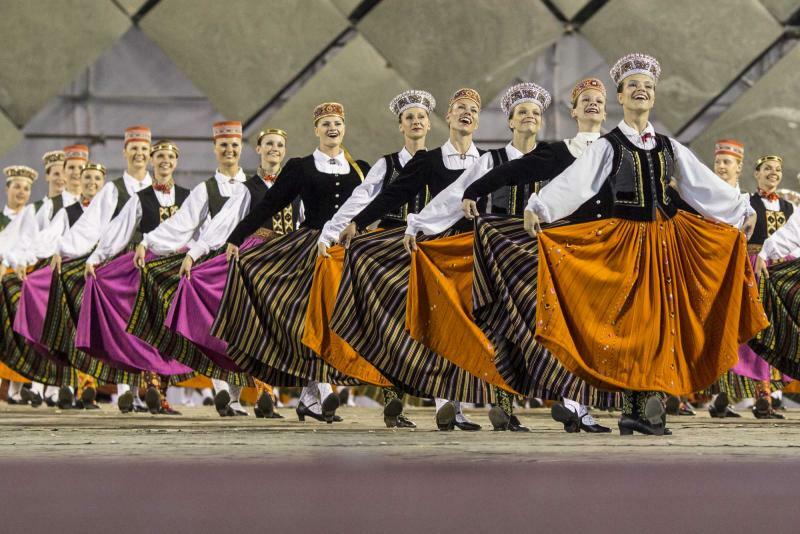 You’ll feel this vibrant culture every step of the way as you explore. After breakfast, you’ll have a private walking tour to see more of this wonderfully diverse city. 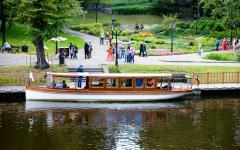 This way you can learn the lay of the land while getting insight into Riga’s fascinating past. You’ll definitely want to check out the food market; it’s the largest in Europe and takes place in five huge hangar-like halls. Here you can find local farmers and artisans selling delicious regional cuisine, fresh produce, baked goods, and so much more. It’s a great place to pick up a picnic lunch, or just snap some unique photos. While you’re out exploring, don’t miss the section of the city made up of distinctive German art nouveau architecture. It’s a unique diversion from the more ancient buildings. 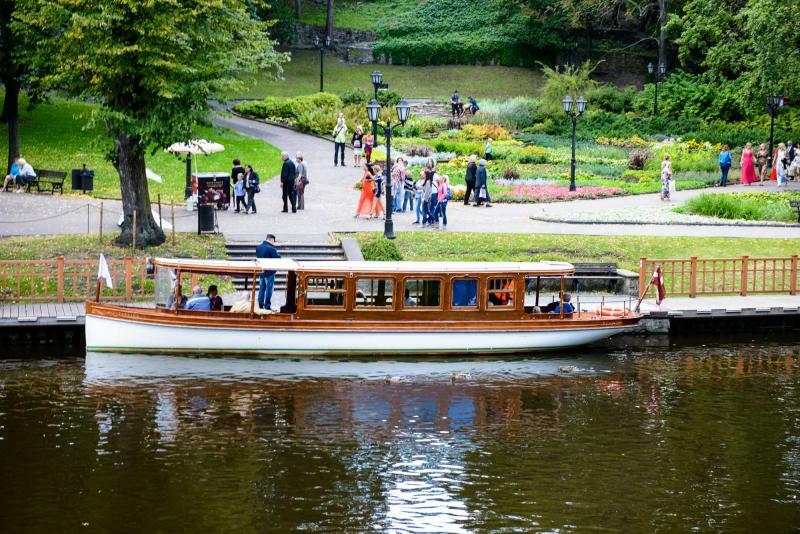 Latvia has more than enough to explore, and to give you a chance to see the sites that are slightly off the beaten path, today you’ll take a day trip to the countryside town of Sigulda, Latvia’s top outdoor destination. After breakfast, your driver will pick you up, giving you a chance to admire the landscape along the way. In Sigulda you’ll find castles to visit, as well as hiking and biking trails nestled in the primeval Gauja river valley. The reddish sandstone that forms caves and cliffs on both sides of the river give the place its unique, picturesque charm. It’s a nice diversion from the bustle of the city. After a day of active exploration, you’ll be driven back to your accommodation in Riga. Today you’ll want to get an early start, because there’s plenty to see. Your driver will pick you up after breakfast. 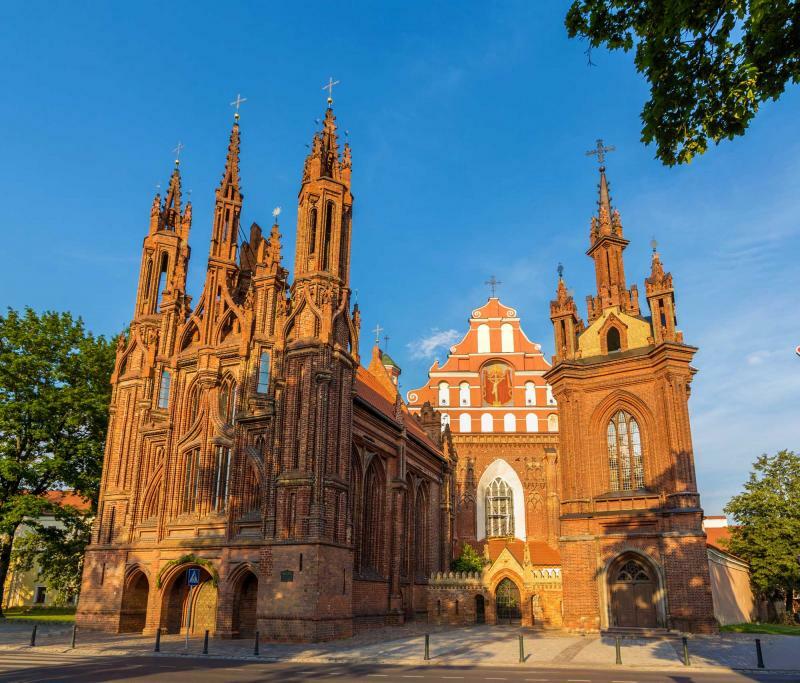 Your final destination on this trip is the intriguing Lithuanian capital of Vilnius, but there are several scenic stops along the way. 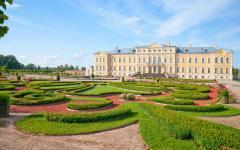 First, you’ll explore the impressively decadent Rundale Palace in Latvia. 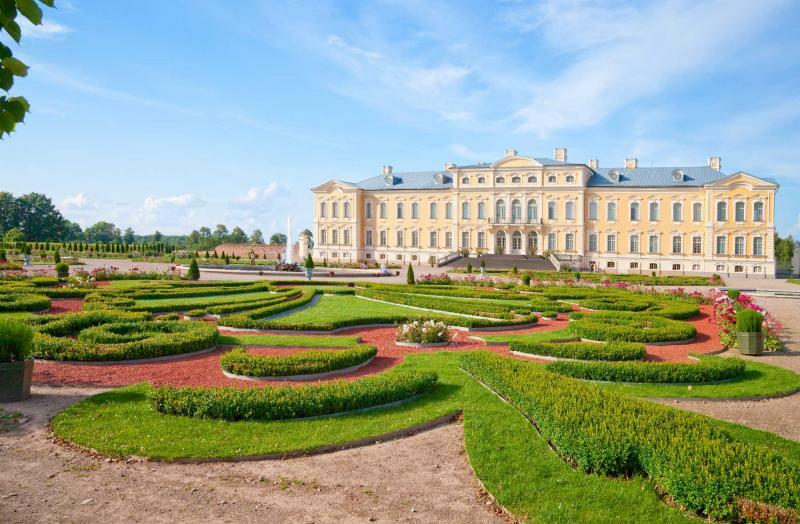 The stately sculpted gardens are just as impressive as the architecture, but we’d recommend taking the palace tour, which will teach you more about the history of this 18th century gem built originally for the Dukes of Courland. Leaving the palace to continue your driving tour, you’ll enter Lithuania, where you’ll make a shorter stop at the UNESCO site known as the Hill of Crosses. This is an absolutely breathtaking pilgrimage site that’s unlike anything you’ve ever seen. Since the early 19th century, religious pilgrims have climbed this hill in northern Lithuania, leaving crosses, crucifixes, and other religious icons as offerings. Today the place is packed full of this holy memorabilia in every shape and size. It’s a place of haunting beauty that’s absolutely unique. You’ll arrive in Vilnius in the early evening and your driver will take you directly to your accommodation in the Old Town. The Old Town of Vilnius, one of the largest in Northern Europe, is UNESCO listed. It’s easy to see why. This is a place of medieval wonders, with something captivating down every street. There’s almost too much to see here, so you’ll have a private walking tour to soak in all that the city has to offer, like the iconic Vilnius Cathedral and St. Anne’s Church, and the Gate of Dawn. Stop at one of the quaint restaurants on the square, or climb the hill to the former site of Vilnius Castle and then the stairs of Gedimino Tower for the wonderful views. You’ll have the afternoon to enjoy at your leisure. The city is filled with modern and ancient sites, and there’s something to please every taste. If you like history, the Museum of Genocide Victims, housed in the former KGB headquarters, is certainly enlightening. While there’s plenty to explore in Vilnius, there are sites outside the city that are not to be missed. 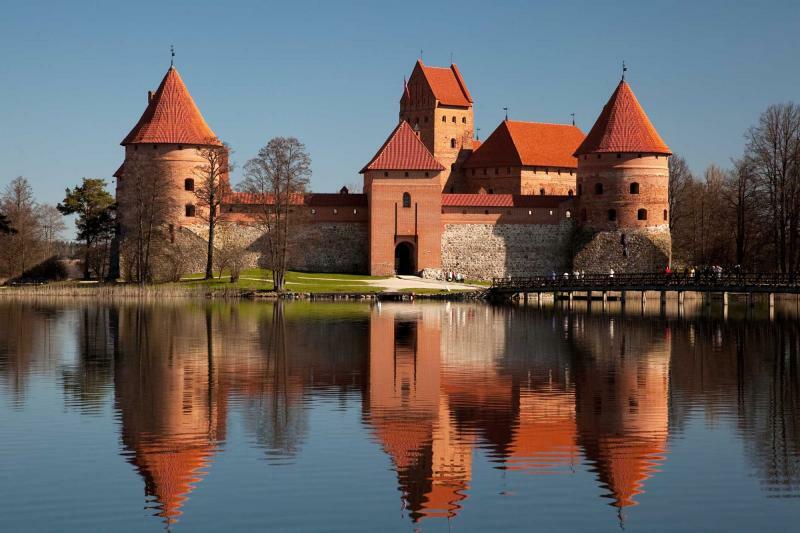 After breakfast your driver will guide you farther back into Lithuania’s history, with a visit to the former capital city of Trakai. 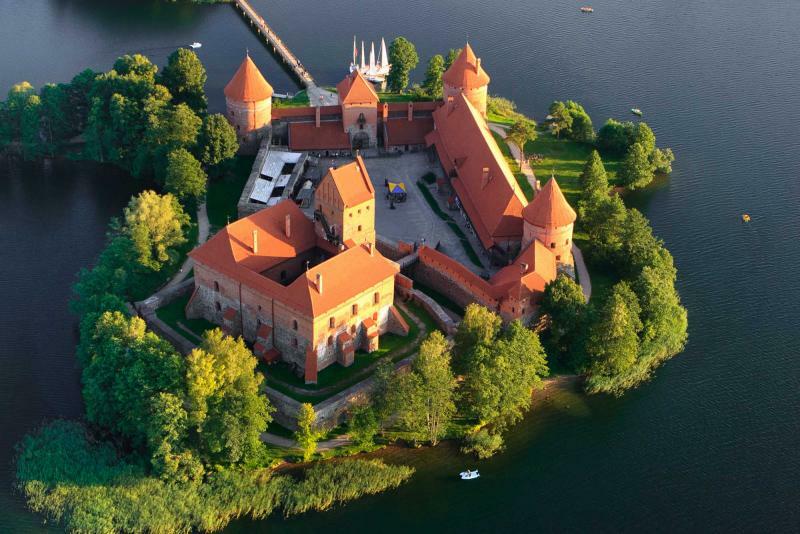 This is a half-day trip from Vilnius and well worth it to see the impressive 14th century castle sitting on an island in the middle of a lake. The site has been shortlisted for inclusion on the UNESCO World Heritage List. It’s a place that seems straight out of a fairytale, and will have you snapping photos from all angles. The castle has been lovingly maintained, and is a must for any visitor. After you explore Trakai, you’ll be driven back to your accommodation in Vilnius, where you can enjoy your last evening in Lithuania at your leisure. Today your driver will pick you up at your accommodation and drive you to Vilnius Airport in time to catch your flight home.